Stirring the aether with bleak and depressive anthems of blackened doom, Lamentations of the Ashen achieves wonder in an audio sea of woe. Steady waves of reverb lift up mournful guitar harmonies to rise above a doom laden crawl, only for the procession to evolve into moments of speed and more of a black metal persona. Even dream-like/droning sequences that find a descriptive home in the “shoegaze” category make an impression on the material found on EKIMMV. Lamentations of the Ashen have achieved a cohesive union between all the styles employed by the imagination of sole member Bon Vincent Fry and even though the mood created by this project can take on a suffocating form of isolation, the tracks flow with inventive conviction and never fatigue/fall into oppressive boredom. Mr. Fry’s harsh, higher register crypt dwelling phantom screams keep the vibe miserable to perpetuate the black metal aspect of his sound. Even on tracks like Veiled in Clairaudient Litany where a noticeable Joy Division influence creeps in to keep things off-centered and Bon does take a crack at clean/misery moans, this doesn’t shake his devotion to the grim arts. 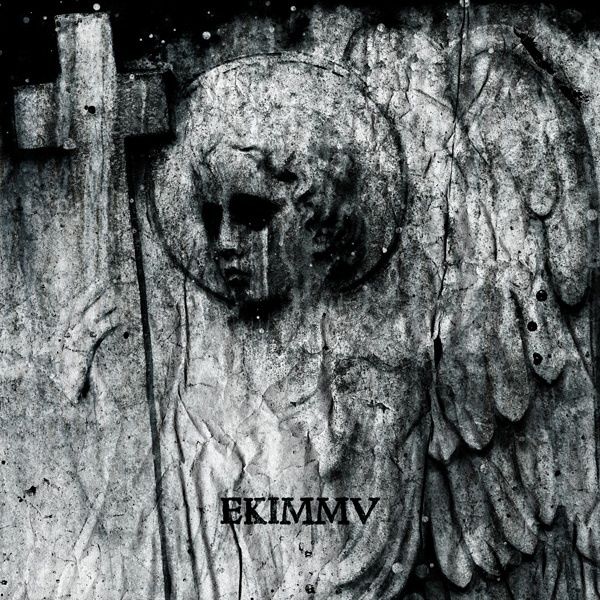 Where many sole songwriters rely on digital drums to get the job done, EKIMMV benefits from an organic drum performance and a lively drum production to keep the sound spacious and mystical. ~ by martyworm on February 12, 2014. This entry was posted on February 12, 2014 at 8:35 pm and is filed under ALL REVIEWS, L-reviews.You can follow any responses to this entry through the RSS 2.0 feed.You can leave a response, or trackback from your own site.